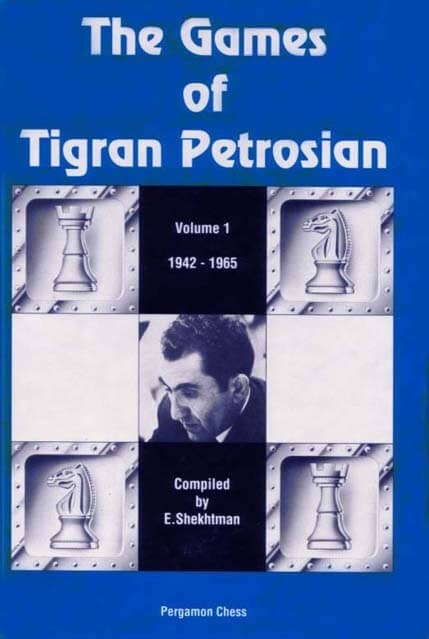 This is the first of two volumes devoted to the chess career of former World Champion Tigran Petrosian, whose masterly positional play and near invincibility earned him the name of "Iron Tigran." Equally and excellent tactician, Tigran Petrosian habitually sacrificed material — particularly rook of minor piece — in the execution of his deeply thought out plans which often reduced an opponent to a state of complete helplessness. Of over 1000 games featured in this book, the most valuable are those which appear with annotations by Petrosian himself. From a study of these instructive comments, in which the Grandmaster reveals the very essence of a given position and explains an appropriate course of action, you will gain a better understanding of the subtleties of strategic play — the most difficult part of chess.